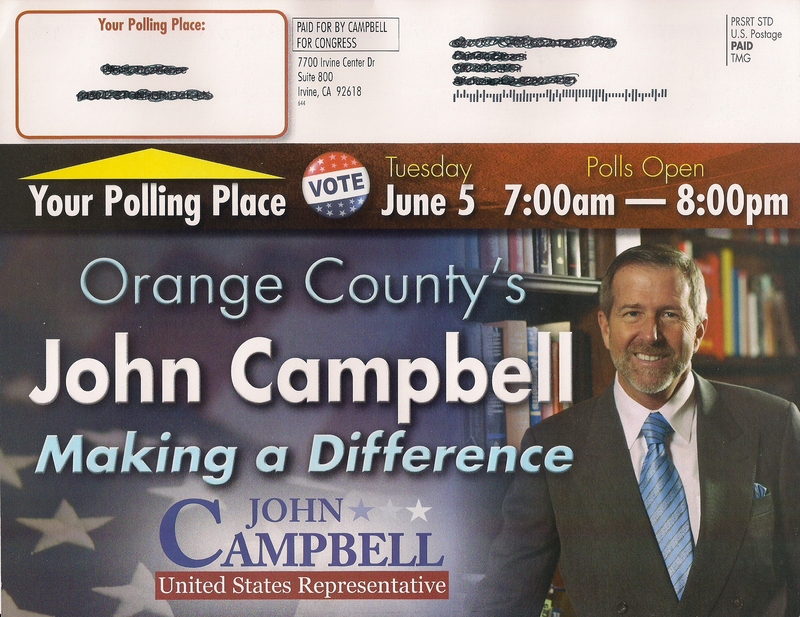 John Campbell also sent out this mailer to poll voters and unlike the Spitzer piece which was also good, this piece actually included the polling place for each voter in the piece. I am quite impressed with the piece and am hoping for a Campbell victory on Tuesday. This entry was posted on June 3, 2012 at 3:45 PM	and is filed under 45th Congressional District, Mail. Tagged: John Campbell. You can follow any responses to this entry through the RSS 2.0 feed. You can leave a response, or trackback from your own site. 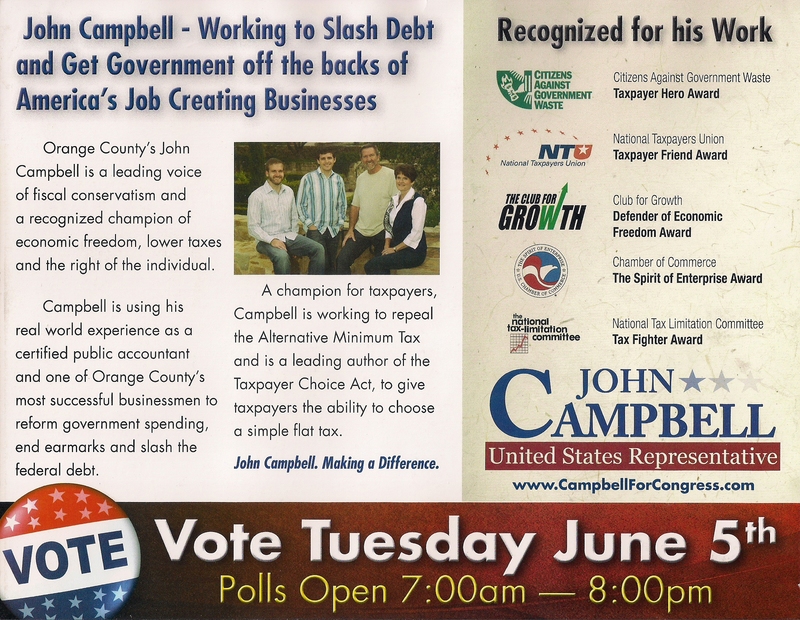 I just don’t think that beard is working for Rep. Campbell. :-) I’m glad the local Republican party refused to endorse him.